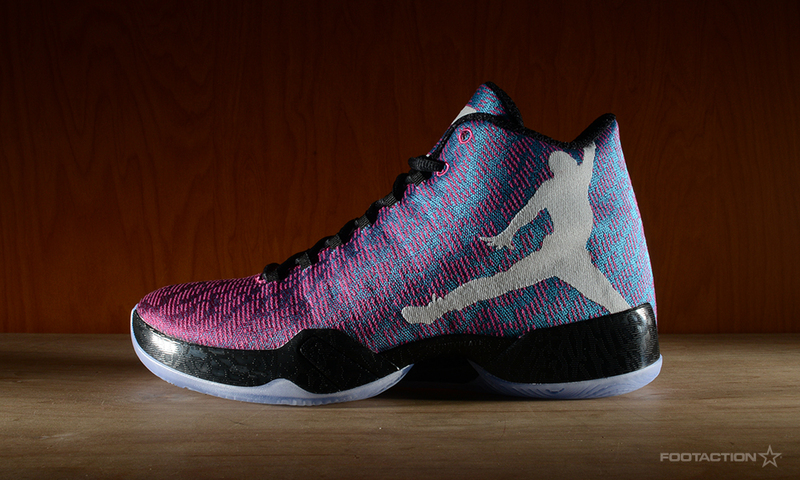 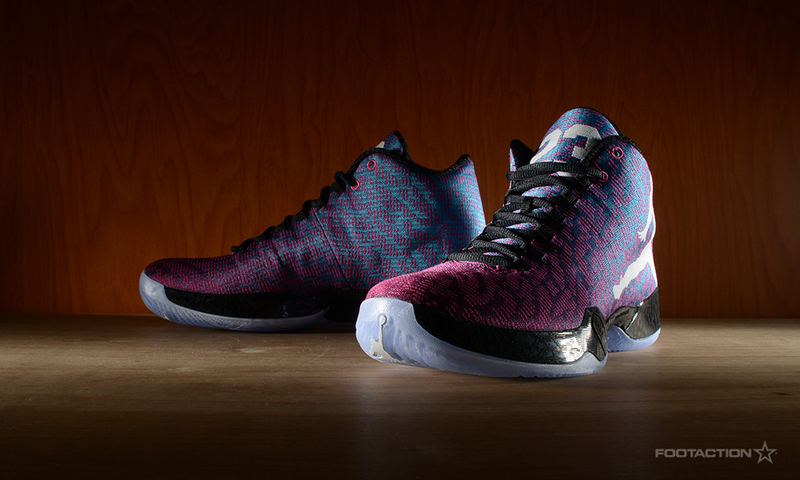 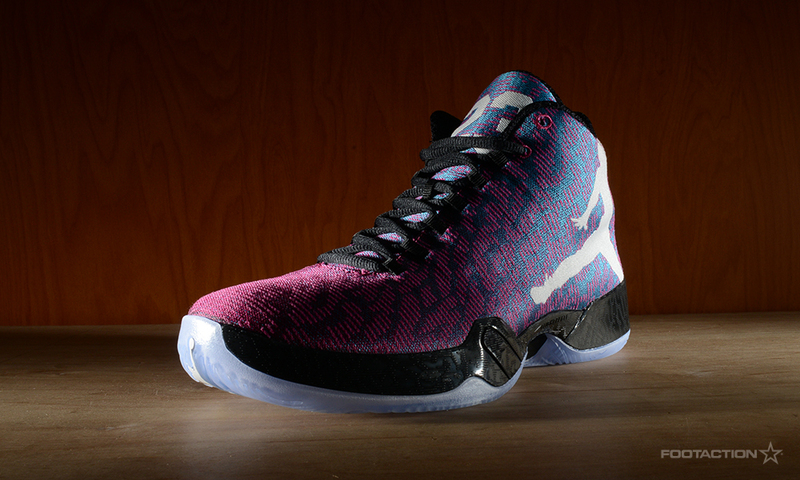 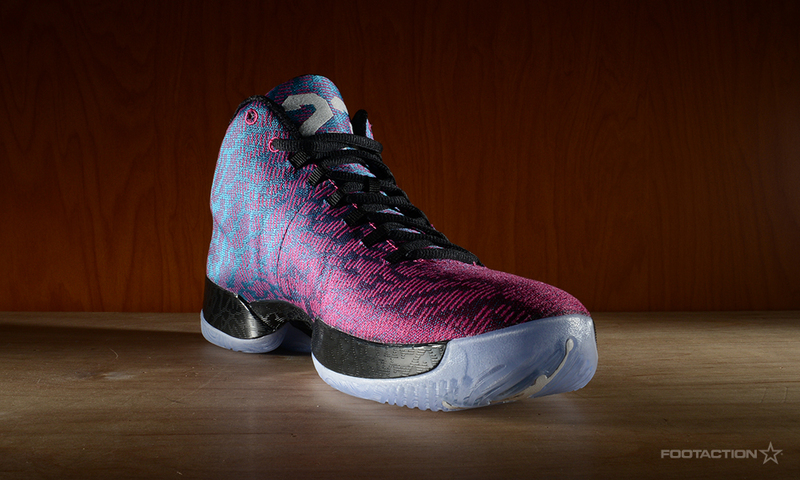 The Air Jordan XX9 is the lightest Air Jordan to date, and in this new colorway called ‘Fusion Pink’, it’s one of the most eye-catching as well. 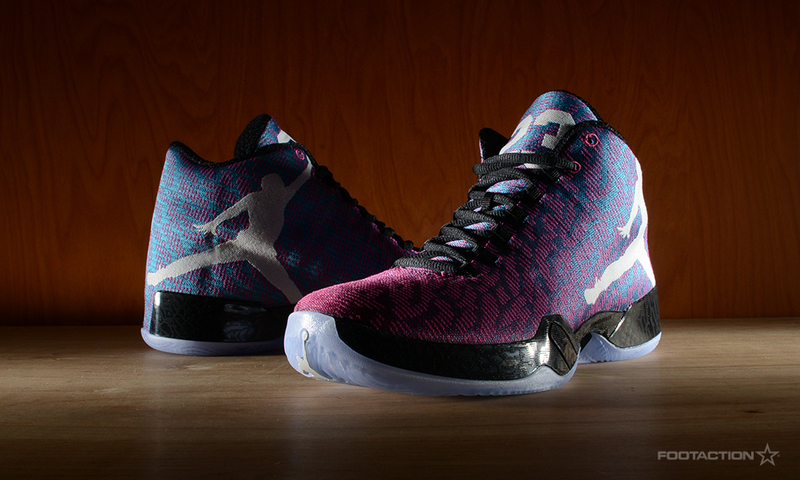 A reengineered FlightPlate and its one-piece woven upper are the reasons for its lightness. 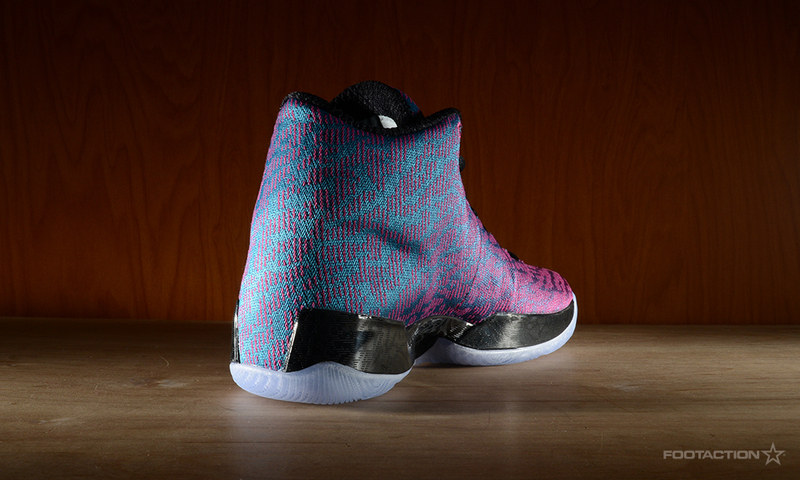 The colorful NBA jerseys from the 90′s gives inspiration for the color palette. 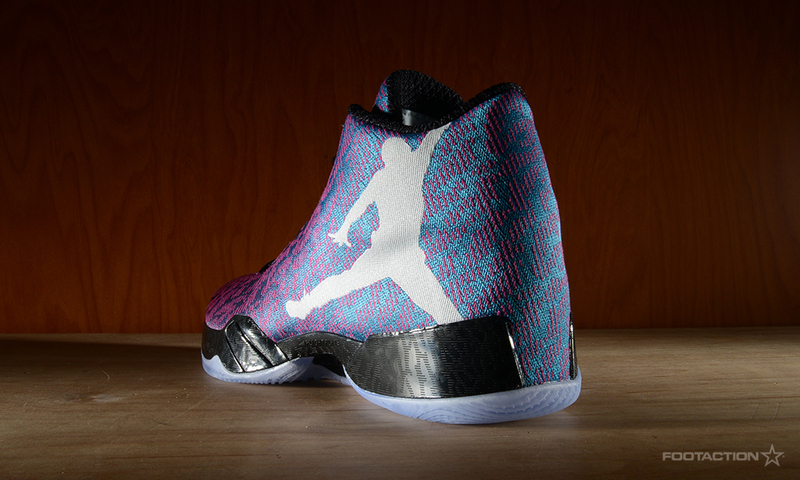 Jumpman branding resides on the lateral side, highlighting the subtle print on the print.